The 2015-16 season is Chester's third consecutive season in the National League. 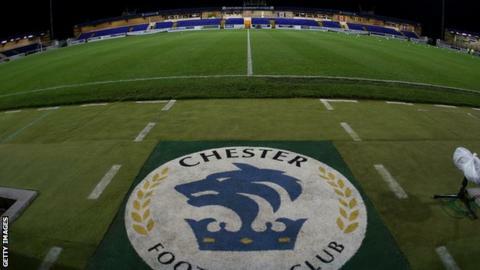 Chester FC have completed the signings of goalkeeper Dylan Forth and defender Dale Tonge after both players successfully completed their trials. Tonge, 30, joins on a one-month deal having most recently been at league rivals Torquay United, where he played 56 times since joining in 2013. Forth, 18, joins after being released by Aston Villa in the summer. Forth and Tonge are boss Steve Burr's eighth and ninth summer deals, all of which have been completed on frees.